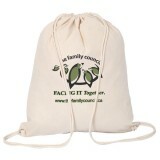 Custom cotton drawstring bags possess the feature that will make them stand out from the rest. Do you know what? These cotton bags are natural, user-friendly and fantastic for year round promotions. Whether your customers are going to the gym, beach, local grocery store or the state park,these reusable drawstring backpacks will be appreciated. 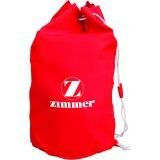 We can ship these customized drawstring bags free of cost anywhere in the contiguous USA. 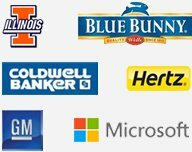 100% customer satisfaction and 110% lowest price match guaranteed. Free online design proof and free artwork assistance offered on all products. 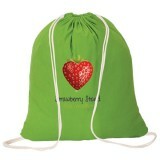 Custom printed cotton drawstring bags are eco-friendly alternatives to cheaper plastic drawstring bags. With the demand for eco-friendly backpacks growing by day, any of these logo printed cotton backpacks will make a great item for your next promotional event! Cotton backpacks offer various advantages to marketers as well as customers. Logo printed cotton drawstring bags are loved by people of all ages due to their easy manageability and versatility.Logo printed cotton drawstring backpacks are smoother, lighter and they can make grand brand impressions wherever the user carries them. With such a vast variety of styles such as condor cotton drawstring backpacks to cotton barrel bags, cotton drawstring bags are trendy, sturdy and eco-friendly. With Drawstringbagsonline.com, you can easily fulfill your promotional requirements without overdoing your budget and buy some good quality eco-friendly cotton bags will certain impress your customers. Customized cotton drawstring bags will make your company look cool and trendy. With our in-house imprinting, you will be able to position your brand logo on a much appreciated drawstring bag that will be used and seen by several people. These high quality backpacks can be washed and reused many times without falling or without being worn out. With our wholesale prices, you will be able to order as many cotton bags as you need with your brand logo printed over it. This means your company can have an outstanding promotional giveaway without spending much money. To know more about promotional advantages of these customized cotton drawstring bags, you can easily contact us at 855-218-2247. 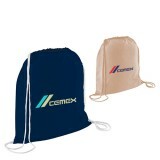 Our experts can help you to pick the right promotional drawstring backpack for your campaign.